Danielle Pletka is the vice president for foreign and defense policy studies at the American Enterprise Institute, a conservative think tank based in Washington, DC. 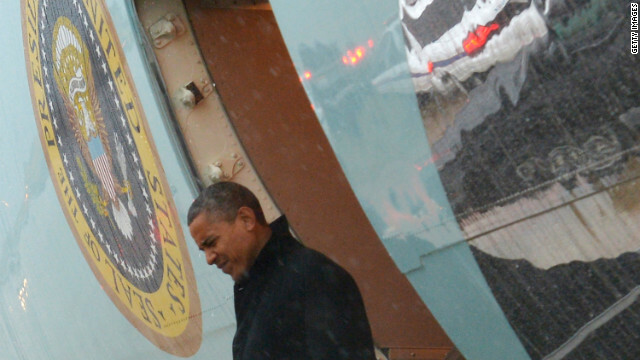 There are two top priorities in national security for Barack Obama as he enters his second term. The first is Iran, the second the return of al Qaeda. Of course, there are pressing challenges everywhere; the Middle East is in the process of a generational transformation that will in the short term look much worse for America’s interests, allies and values. China’s strategic ambitions are increasingly and obvious anathema to our and our allies’ interests in the Pacific. A rapid exit will be failure in Afghanistan. But these are slow motion train wrecks. The two oncoming locomotives are a nuclear weapon and the means to deliver it in the hands of one of the rashest and most dangerous regimes in the world; and the metastases of al Qaeda and its cohort from South Asia to the broader Middle East to the horn of Africa and beyond. Iran now has enough nuclear material, enrichable in short order from 20 percent, to fuel several nuclear weapons. Regime leaders have expressed the intention of dominating their region and destroying Israel. We ignore those threats at our peril. Al Qaeda now controls substantial and growing territory around the world, and will make impressive gains in Iraq, Syria and Egypt (Sinai) before long. For the last four years, Barack Obama has allowed these problems to grow. There is a crisis around the corner, and much must be done to avert it. James M. Lindsay is a Senior Vice President at the Council on Foreign Relations and co-author of America Unbound: The Bush Revolution in Foreign Policy. The views expressed are his own..
Iran. Afghanistan. China. Syria. Al Qaeda. These are just some of the foreign policy challenges awaiting President Obama in his second term. But his top foreign policy priority won’t be overseas; it will instead be here at home – putting the U.S. government on a sound fiscal footing. Trillion dollar deficits simply aren’t sustainable. The flow of red ink need not be stanched overnight; indeed, doing so would derail an already anemic economy. But tough decisions on aligning spending with revenues are essential. The trick is do so while continuing to make the critical investments in education, infrastructure, and innovation that help nourish the wellsprings of America’s global power. That is a tall order given the nation’s current partisan divisions. But if Washington fails to act, or if it rashly slashes investments in the future, the result will be a weakened country less able to influence events overseas to its liking. Michael Rubin is a resident scholar at the American Enterprise Institute and senior lecturer at the Naval Postgraduate School. A perfect storm is approaching the Middle East – and Iran is its eye. Debate about whether Iranian nuclear weapons capability or their acquisition should be the American red line misses the point: The difference between the two could be a week. Enriched uranium stockpiling suggests the international policy of procrastination will end. A military strike will unleash a cascade of instability, but so too would nuclear breakout. Secure behind its own deterrent, a nuclear Iran might act upon its ideological prerogative to export revolution. Sequestration will tie America’s hands. The headlines today report violence in Syria, Lebanon, Bahrain, and Gaza, but tomorrow they could just as easily include Saudi Arabia, Oman, and Kuwait. Containment is no solution. After decades of promising no tolerance of a nuclear Iran, no Arab ally will trust a U.S. nuclear umbrella; instead, they will make accommodation with resurgent Iran. The only solution is to hasten regime collapse. Unless that occurs, get ready for renewed terrorism, nuclear brinkmanship, and $200 oil. Madhav Nalapat holds the UNESCO Peace Chair at Manipal University in India. The United States will not be able to maintain its primacy in the 21st century by clinging to assumptions valid only in the 20th. Thus far, the U.S. and the European Union have frequently, in the form of NATO and otherwise, formed a package while dealing with the rest of the world. It was such an identity that caused the tragedy in Vietnam, where Washington sought to follow in the footsteps of Paris. And since 2001, the United States has persisted in dragging bits of Europe along with it in its foreign operations, whether in Afghanistan, Iraq or elsewhere. In Libya, meanwhile, Washington followed Paris and London into an endeavor that has left the country ungovernable. With its colonial baggage and continuing condescending attitude, the major European powers are strategic deadweight for the United States, slowing down and diffusing its resonance and thrust in Asia, Africa and South America. It was hoped that President Obama would free his country from this yoke, but this has not happened. In fact, the deathly influence of Europe has arguably increased. 21st century. The U.S. needs to see Asia and Europe as separate but equal entities, without seeking to insert one into the other. The U.S. needs to rediscover its strengths rather than persist in acting as though it Europe is part of its eastern most shore. Brad Glosserman is the executive director of Pacific Forum CSIS. While Barack Obama’s reelection means that there will be continuity in foreign policy toward Asia (although there would have been in the event of a Romney win, given decades of broad bipartisan support for Asia policy, rhetoric toward China notwithstanding) personnel changes are likely to have an impact. Secretary of State Hillary Clinton has said that she will step down after the first term, and Kurt Campbell, assistant secretary of state for East Asia and the Pacific, is likely to go with her. These two have done truly outstanding jobs, and while no one is irreplaceable, they will be sorely missed. The next secretary will follow the president’s lead, so Asia will remain a priority; the assistant secretary’s focus by definition is Asia, so attention won’t flag there either. And there are plenty of smart, hardworking and talented folks on the Democratic bench capable of picking up the portfolios. No, the changes will reflect the fact that Clinton and Campbell have a special relationship. They are extremely close, and Campbell has had outsized influence precisely because of that connection. I have heard numerous tales of how Campbell got the secretary’s attention and time precisely because of their close personal ties. That dynamic will be hard to replicate and is likely to have a profound if indefinable impact on U.S. foreign policy. Christopher Sabatini is editor-in-chief of the policy journal Americas Quarterly. The views expressed are his own. Despite its importance for U.S. exports and the counter-narcotics, Latin America will not be a high priority for the new administration – perhaps understandable given the other demands and crises across the globe. That said, there are a number of countries and issues that certainly deserve high level attention. First among them is Brazil. The world’s sixth-largest economy, Brazil aims to be a regional and global power, an ambition that has made for a prickly partnership with the U.S., including over the humanitarian intervention in Libya and its goal to gain a permanent seat on an expanded U.N. Security Council. The administration should try to foster Brazil’s promotion into multilateral forums and agreements to leverage a closer working relationship. Second, the drug trade and the violence and corruption that have come with it are threatening state collapse in Central America and have cost over 50,000 lives in Mexico. The U.S. needs to dramatically expand its assistance and cooperation with countries in the region while also attacking drug consumption and arms sales within its own borders. Last, for domestic political reasons, Cuba has always – unfortunately – always commanded outsize attention in U.S. domestic politics and policy toward the region, with support for the U.S. embargo often serving as a litmus test for presidential appointees before congress. The next four years, it will deserve the attention – but of a different sort. With Fidel Castro 86 years-old and his successor brother Raul 83, there will almost certainly be a leadership transition in Cuba’s 60-year-old revolution. The embargo law currently ties the ability of the U.S. government in its relations with Cuba and the Cuban people until a democratic transition is nearly completed, and has isolated U.S.-Cuba policy from the rest of the world. The U.S. will need to refine its policy to play a constructive, multilateral role if it wants to shape the process – which, being just 90 miles from Florida, it must. Iran would be the top priority, but a close second is the bitter Senkaku/Diaoyu islands dispute between China and Japan, which has poisoned their bilateral relations and is causing real economic damage. Mutual mistrust and strong pressures from nationalist groups on both governments to act tough mean that the risks of escalation, and of tactical miscalculations leading to military conflict, are high. The dispute not only jeopardizes security and stability in East Asia; it poses a serious dilemma for Washington and the first test of its Asian “pivot” policy. The U.S is committed by treaty to defend Japan. But it may be hard to demonstrate effective support for Tokyo without itself being sucked into the dispute, putting it on a collision course with Beijing. Cool nerves, fine judgment and delicate diplomacy will be needed. Jonathan Schanzer is vice president for research at the Foundation for Defense of Democracies, and a former terror finance analyst at the U.S. Department of Treasury. He tweets at @JSchanzer. The views expressed are his own. President Obamamust home in on the foreign policy challenge that poses the most imminent threat to world security: Iran. The theocratic regime in Tehran is undeniably closer to obtaining a nuclear bomb. With that weapon in hand, the regime will have the ability to deliver a devastating blow to the United States or any one of its allies. With a “nuclear umbrella,” Iran could also continue to terrorize the world with impunity, thanks to a state-run terror apparatus known as the Islamic Revolutionary Guard Corps, as well as proxies like Hezbollah in Lebanon, Palestinian Islamic Jihad in the Gaza Strip, and still others elsewhere. The president must push forward with punishing sanctions, and credibly threaten the use of force. Should Iran choose not to step back from the nuclear brink, the president may also need a feasible plan for military intervention. If Iran builds a nuclear weapon, it will almost certainly happen on his watch. Brian P. Klein is a global strategist and former U.S. diplomat. He blogs at Klein’s Commentary. China’s economic rise and increasing military assertiveness have pushed U.S. strategic ambiguity to its limits. If a decisive position isn’t taken soon, allies and friendly countries will question whether the U.S. can back up its Asia pivot talk with action. Focusing on realistic trade liberalization, increased military contacts with China and firm engagement rather than the blame and shame tactics of the past must become a priority. Meanwhile, the once vaunted Arab Spring, so full of promise and democratic zeal, shows signs of entering a long dark winter. Egypt’s President Mohamed Morsy whittles away at reforms in the marginally secular republic, while Syria’s civil war now threatens regional stability, with conflict overflowing into Turkey and Lebanon. Boots on the ground may not be an option, but a focused effort to influence, if not completely resolve these destabilizing trends will be essential to restoring peace.